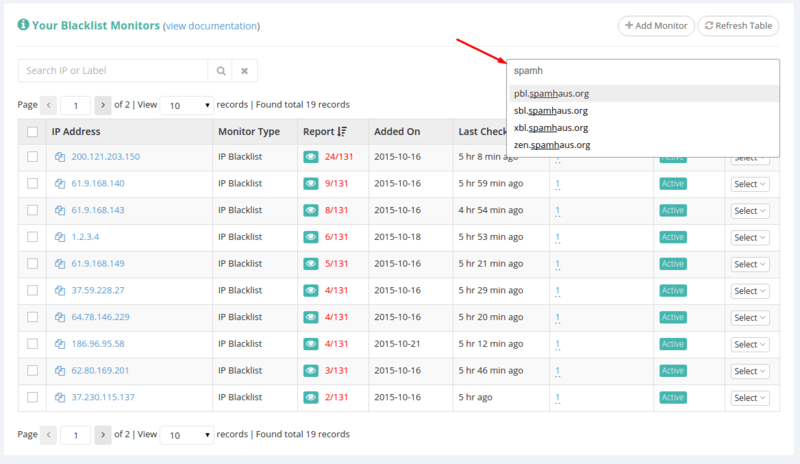 You can filter your Blacklist Monitors to show only the ones listed on certain RBLs. 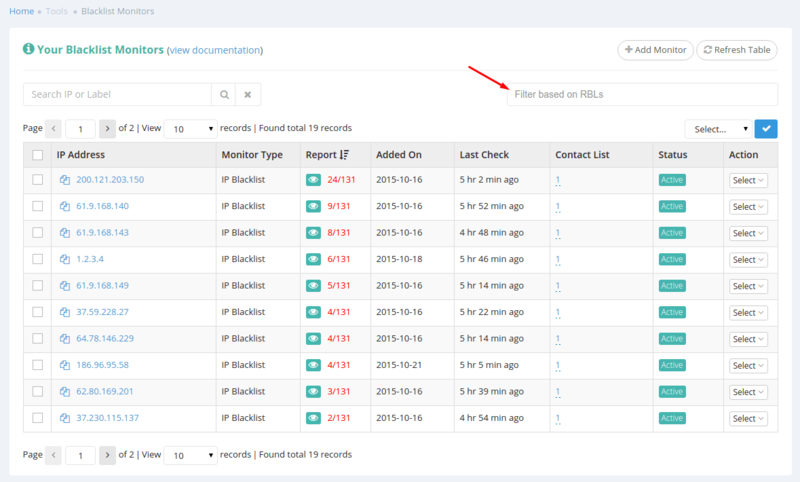 Begin by selecting one or more RBLs from the drop-down list on your Blacklist Monitors page. You’ll notice that as soon as you make the selection, your monitors list will only display those monitors which are listed on that RBL. You can even select multiple RBLs. In such cases where multiple RBLs are selected, our system will show you any monitors blacklisted on any of your selected RBLs. Please note that the search function is fully functional on your new results, filtered based on RBLs, which means that you can search, as described above, through the results you’ve got. Also worth mentioning is the fact that the drop-down RBL list is searchable, so if you know part of the RBL name you wish to filter for, just type it in. On page reload, all searches/filters are automatically cleared.